South Korea on Thursday dispatched the largest number of rescue teams, including volunteer workers, to search the nearly 7-tonne Sewol ferry which capsized off the coast of Jindo Island, in the southwest of the Korean Peninsula, on April 16. Some 174 passengers were rescued during the first day of the ferry disaster, but as the death toll rose to 159 this week, hope was quickly fading for the 143 still missing. 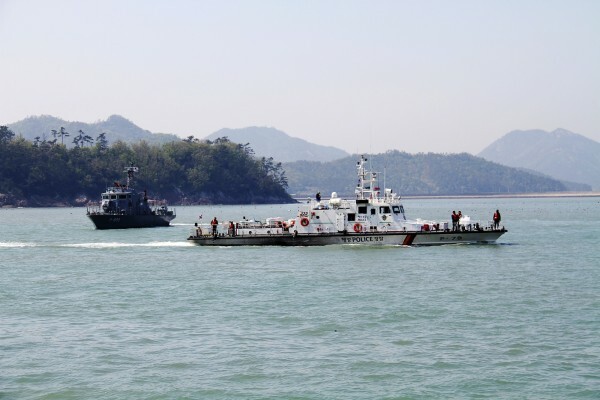 On Thursday, the Chinese embassy in Seoul announced that three of its citizens had drowned and been recovered from the ferry. One middle school girl remains unaccounted for. The Sewol, which was carrying 462 passengers including 30 crew issued a distress call at 8:52am local time before tilting to its side and capsizing at around 11:30am last week. It had departed the western port city of Incheon the night before, carrying 325 students and 15 teachers on a school trip to the southern resort island of Jeju. Meanwhile, Seoul authorities have moved quickly to investigate the incident and hold some among the crew accountable. By Thursday, prosecutors had arrested 20 of the remaining 29 crew, inlucding Captain Lee Joon-seok who has been charged with negligence and abandoning the passengers. On late Thursday, investigators confirmed earlier suspicions that the ferry was carrying cargo that was three times the recommended weight and placed a travel ban on the vessel’s operators, Chonghaejin Marine Co. Ltd.
South Korean media has alleged that that the Sewol‘s operators may have bribed port authorities to allow the extra cargo on board.